Top Ten Tuesday is a weekly meme hosted by The Broke and the Bookish. This week, the theme is Top Ten Favorite Beginnings and Endings. However, I’m terrible at remembering such things (unless I’m taking notes while reading for a review), even when it should be memorable! So instead, I’m taking one of the TTT themes from June, and re-hashing it. So my Top Ten Tuesday this week is from June 18: Top Ten Books at the Top of My Summer TBR List. For those of you who have been following my blog since the beginning, and who follow me on Twitter, you all know I’m obsessed with Melissa de La Cruz and I was desperate to get my hands on this book for the longest time. Pretty sure I entered roughly 10 contests before a miracle occurred: Stacee @ Adventures of a Book Junkee managed to get me not one but TWO copies (one of which I’ll be doing a giveaway for at some point). I screamed and fangirled and thanked her about twenty million times. Once I’m done doing some required blog reading, this is the first book up on my Summer TBR pile! 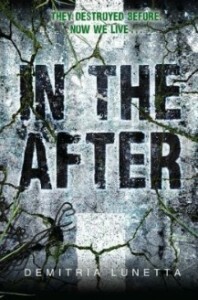 I’ve heard so many amazing things about In the After. Aliens seem to be the next big thing in YA. I’ve only read icons by Margaret Stohl so far, so I’m not sure how I feel about this new trend. We’ll see once I read a few more alien stories! I know everyone is going to demand to know why I haven’t read Under the Never Sky already. I know, I’m terrible! 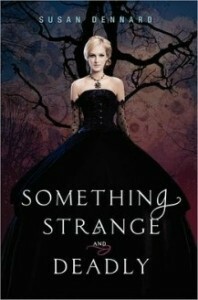 But I finally own it and I seriously want to read it ASAP and see why everyone is swooning over Perry, and who Roar is. Since I want to read book Under the Never Sky, my reasoning behind reading Through the Ever Night is kind of self-explanatory! 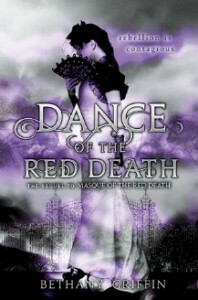 The only zombie books I’ve read and loved so far are Dearly, Departed and Dearly, Beloved by Lia Habel. I’ve heard amazing things about Something Strange and Deadly, and it looks like it sort of has a similar plot to Lia Habel’s series. So I definitely want to read this one ASAP. Again, this one is obvious. If I’m going to read the first book, I’m definitely reading the sequel, too! 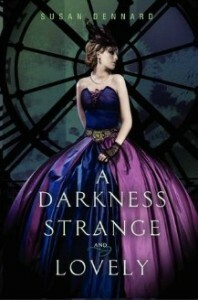 And I’ve heard A Darkness Strange and Lovely is out of this world, as far as sequels go. So I’m excited to get to it! As with others on my list, I’ve heard Masque of the Red Death is amazing! I actually saw it when it first came out in hardcover and didn’t buy it. It looked good, but I wasn’t sure and I also didn’t realize the author was Bethany Griffin at first – I have no idea why! I just didn’t pay enough attention. Then the ladies at Epic reads recommended it during Tea Time. When I looked at it in the store again and realized how amazing it was, and who its author was, I kicked myself for not buying it sooner! I’ve actually been eyeing it on my shelf for awhile now.. I really want to read it! Another obvious one. I actually didn’t realize there were only two books in this series. I figured it was at least a trilogy, and I’m kind of really excited. I bought both books on the same day, and I can devour them back-to-back. It’s great! Like with Under the Never Sky and Through the Ever Night, I’m sure I’m going to have people screaming at me, asking why I’ve waited so long to read these! Well.. I don’t know! But I’m reading them now! Errr.. I mean, I will be reading them when I get around to them! From the bit I skimmed, the writing style seems a bit different from what I’m used to, but the plot sounds terrific. 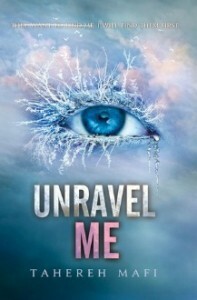 And last, but not least, of course I want to read Unravel Me, since I’m going to read Shatter Me! I’ve heard ominous things, though, about Chapter 62… I’m kind of scared. We’ll see how it goes. Well, that’s my list! My overall TBR pile is about three times the size of this list, but it’s only supposed to be “Top Ten,” so I had to cut myself off, or I could have done a Top 50 post! What books are on your Summer TBR Pile? Share them with me in the comments below! You definitely need to read Under the Never Sky. One of my favourite series! I’ve heard so many great things about it! Someone recommended I wait until book 3 is out, so I can power through all of them in one go. But if I can get to it sooner, I’m definitely going to! Ooh, Masque of the Red Death and Shatter Me are BOTH great choices! 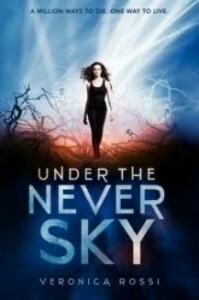 I wasn’t a huge fan of Under the Never Sky, but I seem to be in the minority on that one, so hopefully you’ll enjoy it! I’ve heard so many amazing things for all three of those series. I hope they’re as good as people say! Sometimes, the hype is so huge, but then the book is a let-down. Hopefully that isn’t the case! Good to know! 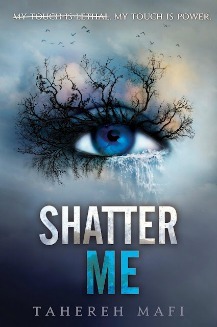 I love hearing everyone’s thoughts on Shatter Me and Masque of the Read Death – it makes me anxious to read them! 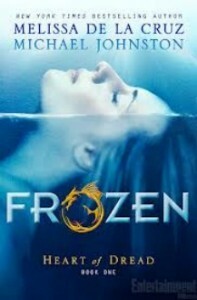 I can’t wait to hear your thoughts on Frozen! I am dying to read it- or maybe just to stare at that beautiful cover…Also, I am going to join the parade of people telling you to read Shatter Me at some point. 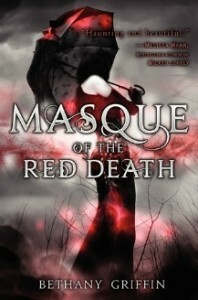 I agree, the writing style takes getting used to, but the book sucked me in and I finished it in a day. Love! 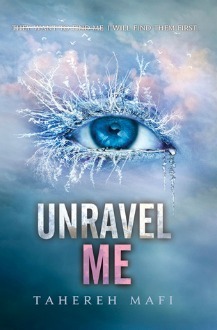 I’m getting more and more excited to read Shatter Me – everyone always has awesome things to say about it! The way it is written will make you want to binge read it. 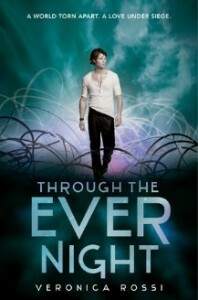 I absolutely adored that book and its sequel.